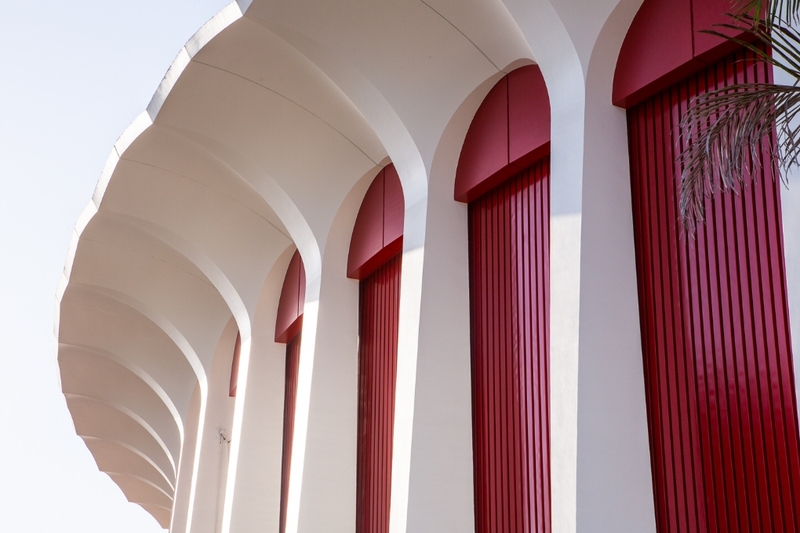 The Forum is the largest and most iconic building in Inglewood. 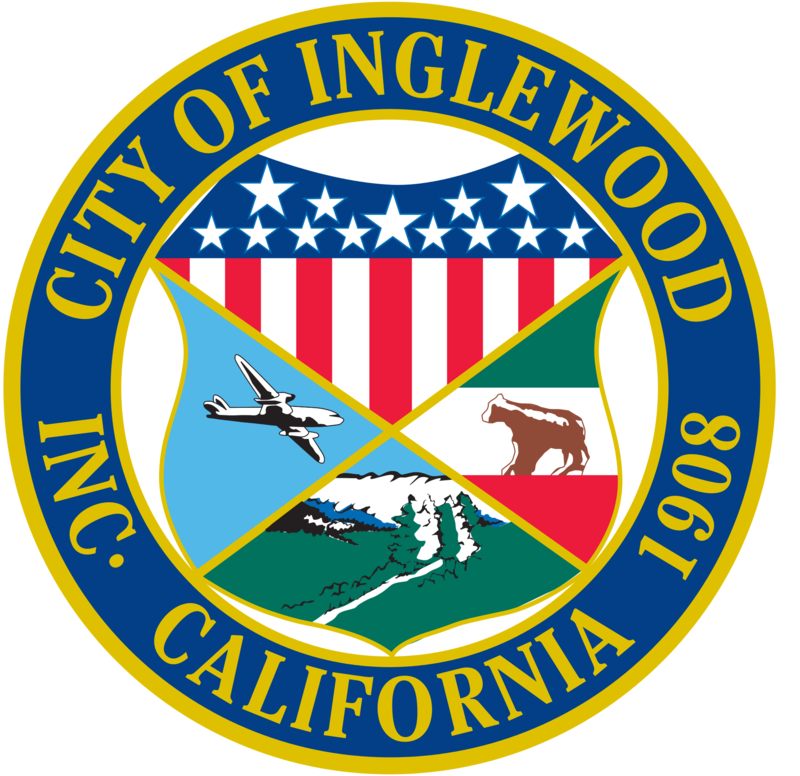 Once home to the Los Angeles Lakers, LA Sparks and LA Kings sports teams, the Forum provides Inglewood with its 'City of Champions' nickname. 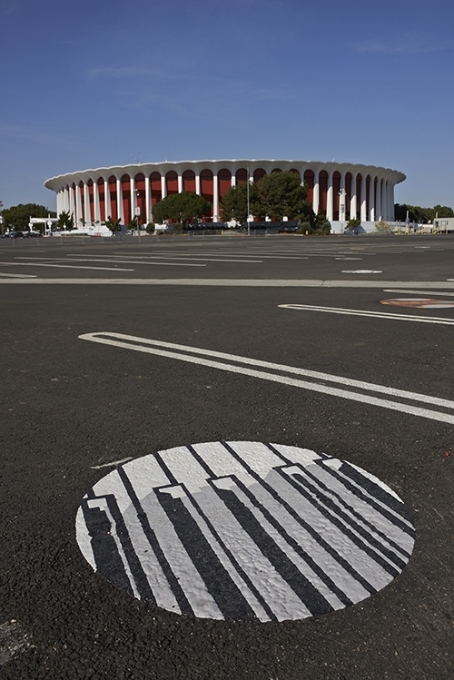 The Forum story begins with Jack Kent Cooke, a part owner of the Lakers with an outsized personality. 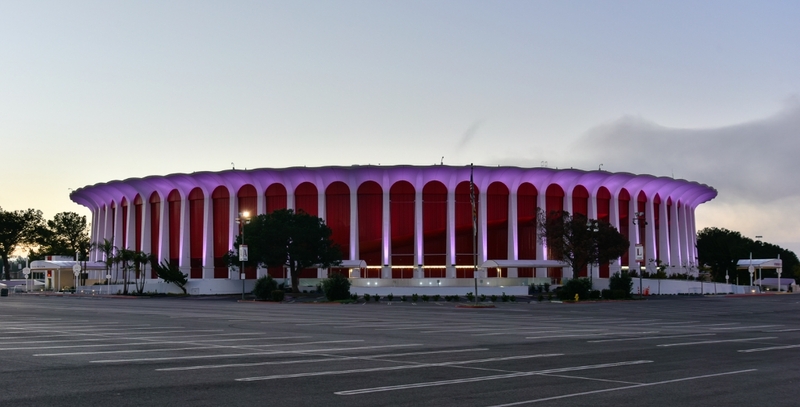 Cooke wanted to bring a professional hockey team to Los Angeles’ Memorial Sports Arena. 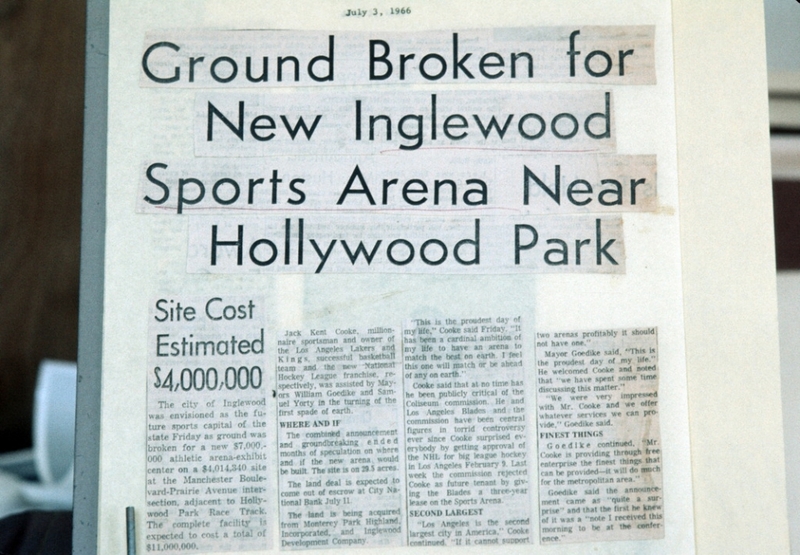 Losing to a competing proposal, he decided in 1966 to construct a new, more spectacular arena in Inglewood. 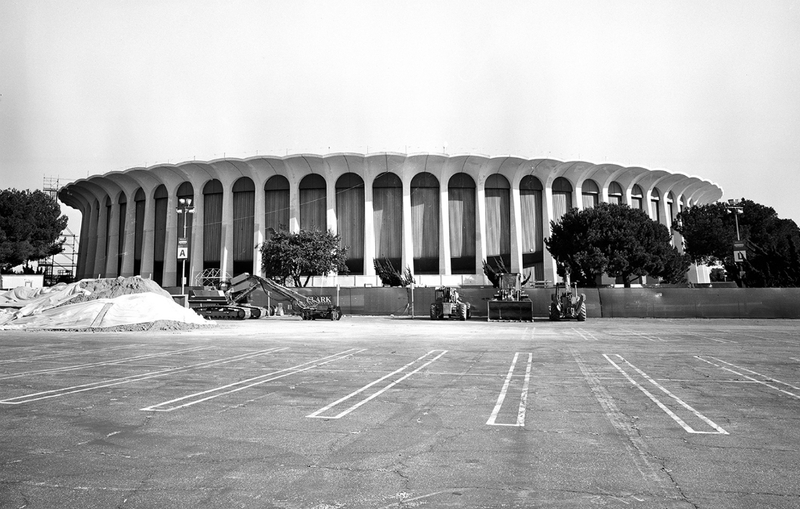 He promised a team and an arena by December 31, 1967. This extravagant claim landed a National Hockey League franchise though Cooke had neither site nor financing at the time. Cooke chose architect Charles Luckman for the project based on his reputation as a man who could solve an impossible problem. Luckman has one month to design the fast track building. Construction started before design was completed. Common now, design/build was atypical at the time. In his autobiography Luckman wrote of his inspiration: the Roman Coliseum. The architect worked with little client feedback as Cooke promised to leave the design team alone. 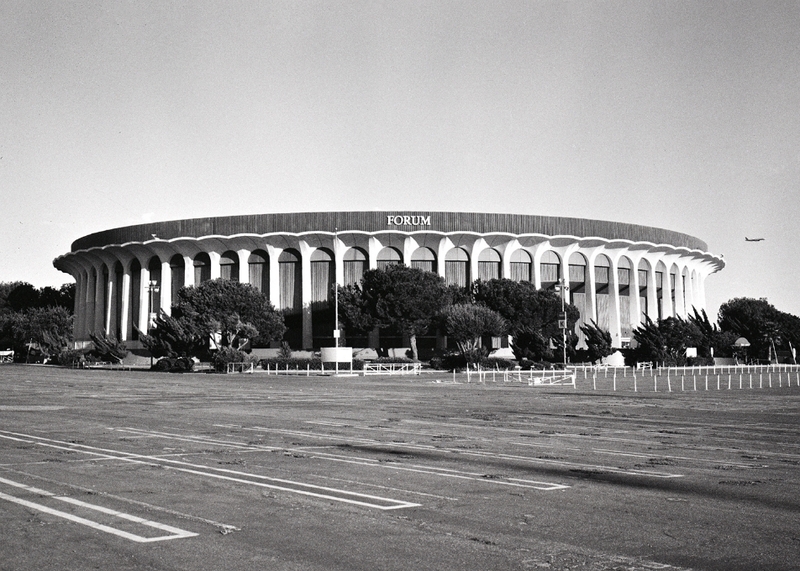 When shown a rendering of the column-free circular building with seating for 17,000 resting on a podium with a sign calling it the Forum, Cooke declared it fabulous. The name stuck, and the Fabulous Forum was born. Forum construction went around the clock. The signature sixty-foot tall Romanesque arches were made in an on-site factory, as they were too big to be transported through the streets. Helicopters were used to place building mechanical on the rooftop. With frenetic drive, the building opened on schedule. Cooke hosted a spectacular New Year's Eve opening with a ribbon cutting ceremony and a cast of dignitaries to help. 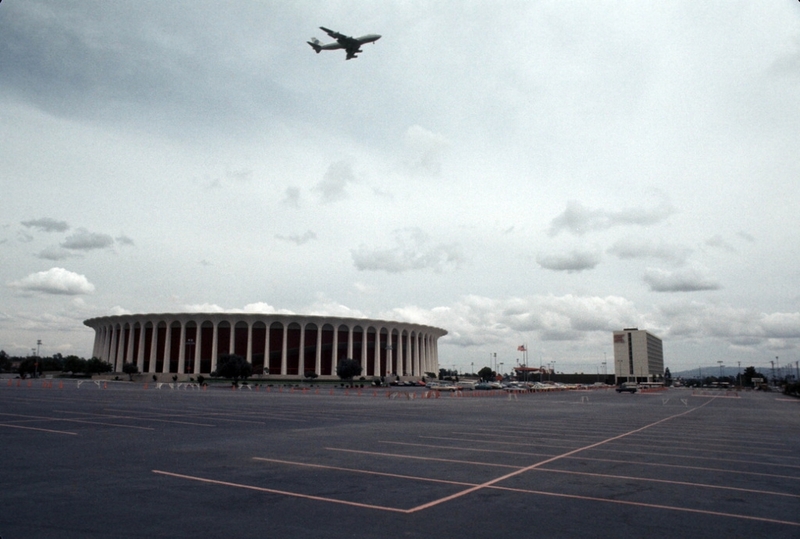 In addition to professional sports the arena hosted the 1984 Los Angeles Olympics basketball tournament and team tennis. 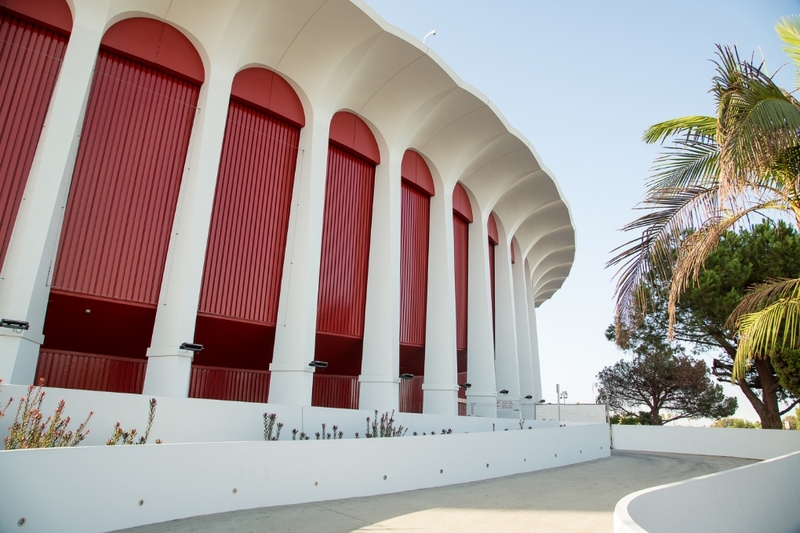 Musicians playing the Forum include Steppenwolf, Cream, the Jackson 5, Barbra Streisand, the Eagles, KISS, Fleetwood Mac, and Diana Ross, among many others. 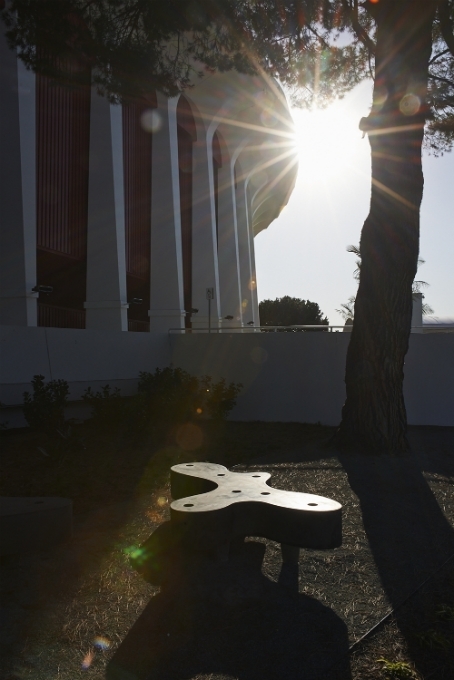 As professional sports began a push for new stadia, the Forum’s popularity waned. 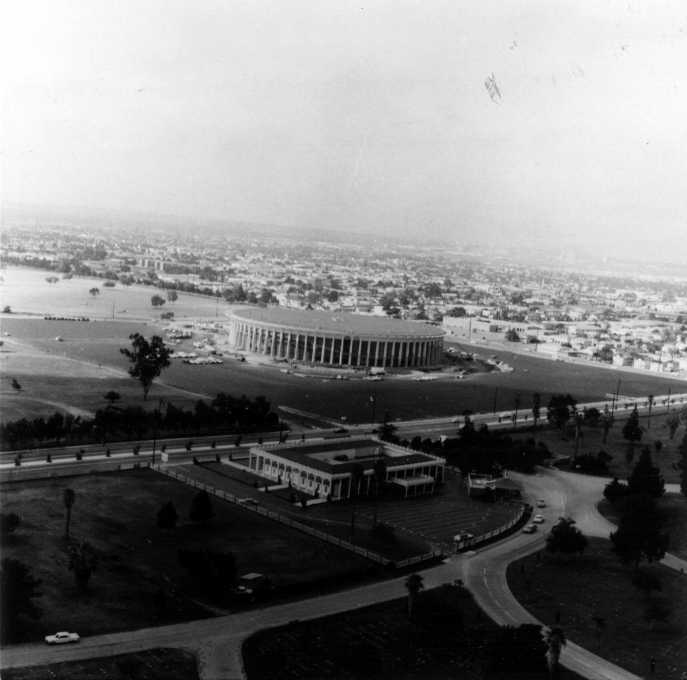 It was sold in 2000 and transformed into the Faithful Central Bible Church, which held services for a decade. 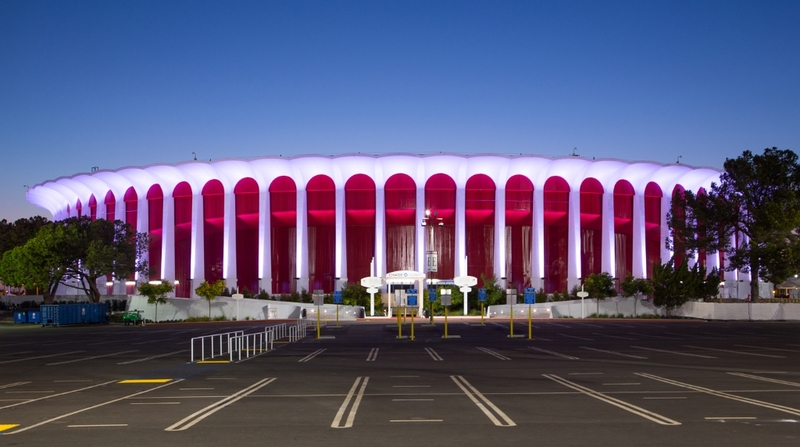 In 2012 the Madison Square Garden Company bought the Forum. 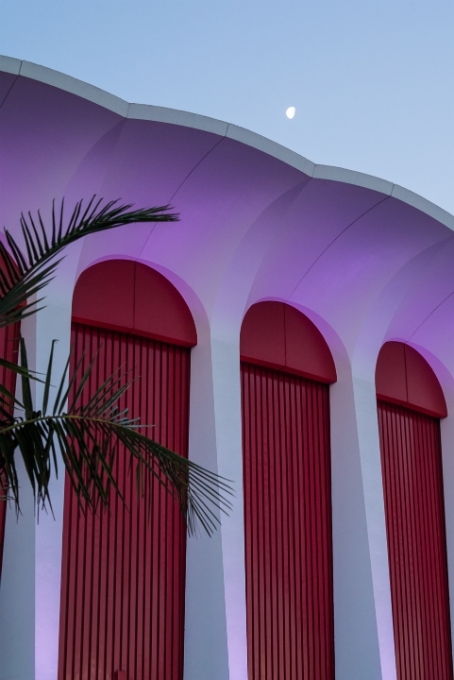 They renovated the seating, sound equipment, lighting, public art and landscaping, while preserving the exterior façade. 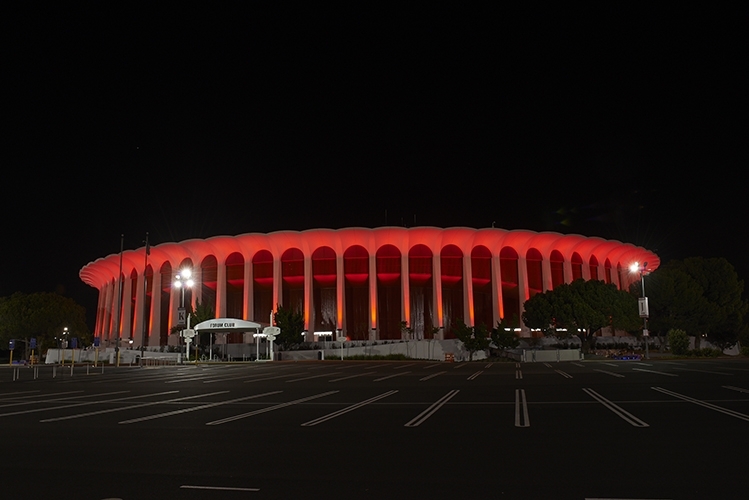 The Forum reopened in January 2014 and earned its place on the National Register of Historic Places. Charles Luckman was born in 1909 in Kansas City, Missouri, and studied architecture at the University of Illinois. He graduated in 1931 in the midst of the Depression. Professional jobs were rare, so he joined the advertising department of the Colgate Palmolive Peet Company. He soon became a sales manager with the Pepsodent Company and was credited with quadrupling profits. When Lever Brothers purchased Pepsodent the board named Charles Luckman the company president leading to his 1937 Time magazine cover at the age of 27. As President of Lever Brothers, Luckman was personally involved in commissioning Skidmore Owings and Merrill to design Lever House, the first glass skyscraper on Park Avenue in New York City. After the building was completed, Luckman decided to return to architecture. Joining William Pereira in Los Angeles, they designed many buildings including the Theme Building at LAX and the Prudential Tower in Boston. 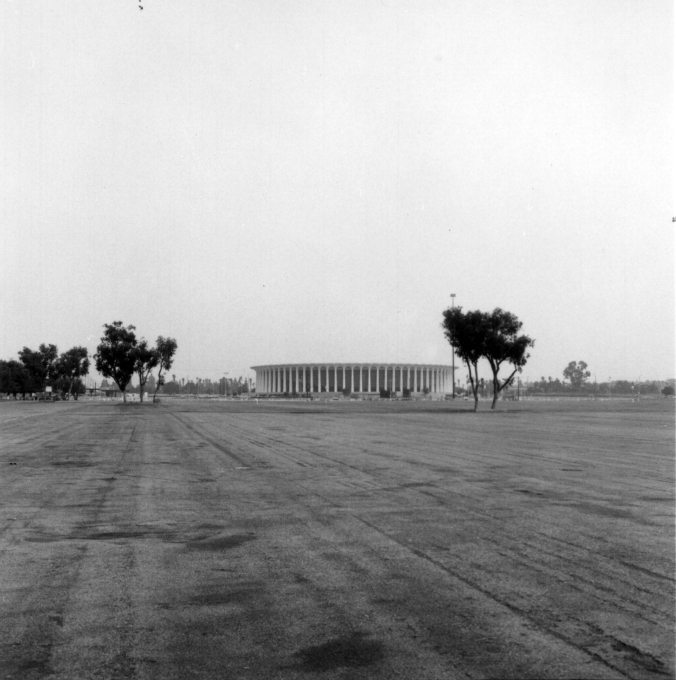 Later leading his own practice, Luckman designed the Los Angeles Convention Center, New York’s Madison Square Garden, and Inglewood’s Civic Center. Luckman died in 1999.